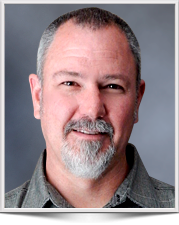 Paul has more than 18 years of industry experience conducting and managing multidisciplinary soil and groundwater contamination assessments including collecting and interpreting field data, constructing conceptual site models, numerical models, and data visualization. He has developed conceptual hydrogeologic models for sites located in geologically complex areas that included fault block basins, fractured bedrock, tilted, and faulted sedimentary rocks. Additionally, Paul has developed sampling and analysis plans, provided data interpretation, obtained regulatory closure for sites, and supervised field activities. His hydrogeologic experience includes groundwater flow and transport modeling (MODFLOW, MODPATH, MT3DMS); calibration codes (PEST, UCODE); and Groundwater Vistas Interface. Paul is proficient in the use of C Tech’s Earth Volumetric Studio 3D visualization modeling software and in computer operations involving ArcGIS Desktop, AQTESOLV, Surfer, KT3D_H2O, and gINT. Paul assisted in developing a basin-wide two-layer groundwater model using MODFLOW for the steeply tilted and fault blocked Verdugo Basin covering the period from 1981 to 2002. The model was used for developing predictive simulations for various groundwater recharge scenarios for the Basin. The model included representation of groundwater withdraw from production wells; mountain front recharge from bedrock inflow; surface stream routing and recharge; surface recharge for precipitation; domestic supply consumptive use, and sewer and water line leakage; and groundwater inflow/outflow at basin boundaries using general head boundaries. Assisted in developing and implementing a basin-wide geophysical evaluation to increase the current understanding of the Verdugo Basin water storage capacity, identify subsurface features that affect the movement of groundwater, provide Crescenta Valley Water District with hydrogeologic and aquifer information for use in locating future production wells, and provide the District with a better understanding of the subsurface conditions at potential artificial recharge sites. The scope of the project included three types of geophysical surveys: 1) Basin-wide gravity survey – the gravity survey was used to evaluate the shape of the bedrock beneath the Basin and the thickness of saturated sediments in the Basin; 2) Seismic survey – the seismic survey was used to confirm/validate the density depth assumptions used in the gravity survey and to confirm the depths to bedrock as interpreted from the gravity survey; and 3) Resistivity survey – the resistivity survey was used to evaluate the nature of the shallow sediments in the Basin at potential recharge locations. Designed and implemented a series of geophysical surveys along the Upper Santa Clara River (USCR) as part of the USCR Chloride TMDL Project. The surface geophysics was developed to evaluate the depth to bedrock, thickness of alluvium, and thickness of saturated alluvium. The geophysical study consisted of a combination of multi-channel analysis of surface waves (MASW) and seismic refraction surveys along four profiles totaling approximately 9,000 linear feet. Results of the surface geophysics program were used for the project in two primary ways. First, the geophysical data were used to incorporate the subsurface alluvial geometry of the Blue Cut area into the groundwater-surface water interaction model. Second, the data was used to develop final locations, drilling depths, and well construction details for the monitoring wells installed in the Blue Cut area. Designed and implemented a surface geophysical program to delineate the extent and thickness of alluvium in the vicinity of proposed storage reservoirs, the depth to underlying bedrock, and the extent of saturated alluvium. Approximately 13,500 linear feet of deep (>500-foot depth) seismic refraction surveys were conducted during this investigation. The seismic refraction survey imaged to a depth of 500 to 600 feet and mapped both depth to bedrock and the saturated alluvium. In addition, 12 individual TDEM soundings were completed to augment the seismic refraction data. These data and evaluations played a key role in successfully developing a groundwater monitoring plan that accounts for the potentially isolated nature of groundwater encountered beneath the storage reservoirs. Assisted the water district in assessment, characterization, and evaluation of aquifer conditions causing high groundwater and liquefaction potential in critical areas of the district. Consulted with the high-groundwater committee to determine program elements for addressing the problems, and provided review of work being done by others in the area that might impact the overall program. Field superintendent for design of two 400-foot deep, 20-inch diameter, 1,600 gpm multi-zone production dewatering wells. Project included design of an innovative in-well blending system using inflatable packers. Reviewed local hydrogeologic conditions including evaluation of well logs and electric logs to determine aquifer intervals and aquitard depths. Supervised design of well and pumping system and unique in-well water metering system to control and vary in-well blending of water from different aquifer zones. Assisted in developing and implementing a groundwater/surface water interaction model to assess the fate and transport of chloride in the USCR. The model was used to address several specific objectives, including: 1) assessing the chloride concentration gradient from the WRP effluent to downstream receiving water locations and surface water diversions under variable flow and water quality conditions, 2) assessing the extent of mixing, assimilation, and attenuation of chloride from WRP effluents to underlying groundwater in Reaches 4, 5, and 6 of the USCR watershed, and 3) providing information that may be used by the LARWQCB to reassess the existing chloride water quality objective of 100 mg/L and for the development of a site-specific chloride objective for the affected reaches of the USCR. Assisted in developing a MODFLOW groundwater model designed to be used for evaluation of artificial recharge to groundwater with State Project water from the California Aqueduct, and the effects on groundwater storage and recovery of the recharged water through a well-installation program. Project included development of a conceptual hydrogeologic model and evaluation of long-term storage capacity, groundwater underflow, and basin yield. Assisted in updating the previous groundwater model prepared for the Victor Valley Water District. The model was updated by incorporating more-recent production data for wells in the former VVWD system and the former BMWD system, along with current operational constraints. The model was used to evaluate potential locations and sequencing for new wells for the full, combined VWD system to help minimize capital investments; incorporate operational constraints (e.g. variations in pumping rates) to reduce future O&M costs (pump lowering) for existing and future production wells; modeling of recharge from various proposed additional recharge sites; and evaluation of potential impacts of pumping from existing and proposed wells on groundwater levels and groundwater flow, recharge and recovery operations, and water treatment plant in-lieu of recharge operations. Assisted in documenting the identity and nature of water produced from two boreholes near three springs in the Mayacmas Mountains as “spring water”. Studies performed included an electrical resistivity survey of the area in the vicinity of the boreholes and springs; an electro-magnetic survey of select areas; and a seismic refraction survey of the area near the boreholes and springs. Additional project activities included installation of piezometers at existing spring sources and other hydrologic testing conducted in the existing boreholes. Provided oversight of the installation of a 1,020-foot deep, 16-inch diameter water supply well and evaluated the completed work for conformance with contract specifications. Specific responsibilities included review and approval of production well designs proposed by the contractor, analysis of downhole geophysical logs for selection of screen intervals, analysis of aquifer test data and calculation of interference between well locations. Paul was the task manager for acquisition and analysis of geophysical data for an assessment of a regional groundwater aquifer affected with trichloroethene (TCE) and tetrachloroethene (PCE). Developed a method to correlate lithology in the Unified Soil Classification System (USCS) to downhole geophysical logs. The method involved comparing logged lithology to a set of geophysical logs (resistivity, spontaneous potential, and natural gamma) to develop an algorithm to predict lithology in other borings using the same suite of geophysical logs. Other activities conducted for this project included construction of local and basin-wide geologic cross sections using lithologic and geophysical logs and correlation of hydro stratigraphic units for the conceptual model of the basin and for the groundwater modeling effort related to the project. In addition, part of the team reviewed and interpreted Electronic Borehole Flowmeter (EBF) data collected from groundwater supply wells to determine the flow contribution of various hydro stratigraphic zones screened by the wells. Responsible for the design, implementation, and overall hydrogeological/technical direction of the groundwater investigation at the Phoenix-Goodyear Airport-North Superfund Site. In charge of a multi-year effort to characterize the lateral and vertical extent of impacted groundwater associated with the site. The groundwater investigation focused on the investigation of water quality impacts to two subsurface aquifers in order to protect domestic and irrigation supply wells in the area. Assisted in developing and implementing a groundwater flow model using MODFLOW to assess the fate and transport of groundwater impacts associated with the site. The model was also used to aid in the design and implementation of regional treatment systems. As the fieldwork task leader Paul was responsible for managing field programs in support of implementing the Groundwater Monitoring Plan. The key elements of these activities included: conducting a well detection survey; completing an exploratory boring program; developing a groundwater monitoring plan; installing, developing, and sampling new monitoring wells; destruction of abandoned agricultural wells; and preparing and submitting project reports. Supporting tasks include reviewing and evaluating historical data and reports; preparing for and attending key project meetings; and preparing and implementing a health and safety plan for the planned field activities. Field superintendent for the drilling and installation of several soil borings, vapor extraction wells, and groundwater monitoring wells to depths up to 250 ft. using air rotary casing hammer drilling methods. Supervised the development, purging, and sampling of the wells, the installation of several soil borings to depths of approximately 275 ft. bags. Prepared well and boring logs using the Unified Soil classification system and prepared daily field summaries. Paul managed the waste site characterization to evaluate the impacts on soil and groundwater beneath the site due to the operation of an illegal landfill. Subsurface characterization activities conducted involved excavating trenches, advancing test borings, and collecting and analyzing soil samples. A feasibility study of corrective action alternatives was evaluated, including capping with a Title 27 Prescriptive cover, excavation with off-site disposal as non-hazardous waste, and excavation with off-site disposal as non-hazardous waste along with metals recycling. Submitted a clean-closure plan and obtained regulatory approval from the RWQCB, managed closure activities (excavation observation, environmental monitoring, and confirmation sampling) including characterization of approximately 11,200 cubic yards of waste and associated affected soil for off-site disposal. Conducted and managed the waste site characterization at the site involving soil contaminated with heavy metals. Activities conducted at the site included excavating trenches, advancing test borings, monitoring well installations, and soil and groundwater sampling for site characterization. In addition, appropriate corrective measures for the waste and residual soil were evaluated. A feasibility study of corrective action alternatives was prepared. These alternatives included minimal action required, cap in place with an imported soil cover, excavate and remove as hazardous waste, and excavate and remove as 50 percent hazardous and 50 percent non-hazardous waste. Performed a site characterization study of the former recycling facility at Hanson’s Miramar Plant. The objectives of the site characterization were to assess if the storage of asphalt emulsion and concrete slurry prior to processing impacted surface soils, subsurface soils, sediment, groundwater, or surface water at the site. Fieldwork consisted of advancing borings to collect samples of surface soil, backfill material, and native soil for laboratory analysis; sampling of surface water and sediments to characterize sediments and water quality downstream of the former recycling facility. Based on the results of data collected, no further action was recommended to address the nature, extent, and potential subsurface impacts associated with backfill material disposed of in the former recycling facility. Also, no further action was recommended to assess potential impacts to surface soil, sediment, and surface water downstream of the former recycling facility. Conducted and managed the waste site characterization study/SWAT of the Vista Burnsite. The objectives of the site characterization/SWAT were to delineate the nature and extent of waste and evaluate potential soil and groundwater impacts at this former disposal area. Activities conducted at the site included a surface geophysical survey to delineate the waste/burn ash boundaries, excavating trenches, advancing test borings, monitoring well installations, and soil and groundwater sampling for site characterization. In addition, appropriate corrective measures for the waste and residual soil were evaluated. Corrective action alternatives and associated costs were prepared. Paul supervised the site characterization of the Hanson Burnsite. The objectives of the site characterization were to delineate the nature and extent of waste/burn ash and evaluate potential soil impacts at this former disposal area. Fieldwork consisted of digging shallow holes to delineate the lateral and vertical extent of the burn material, collecting samples to characterize the nature of the burn material, and evaluating potential remedial options and associated costs. Field superintendent for site characterization of a former aerospace facility. Provided oversight of groundwater monitoring for VOCs, perchlorate, and 1,4-dioxane and oversight of the additional assessment activities including cone penetrometer test, reconnaissance groundwater sampling, and soil gas survey on approximately 60-acres with limited access work inside facility buildings. Field superintendent for ongoing monitoring, assessment, and remediation at a former aerospace facility. Provided oversight of groundwater monitoring for VOCs, perchlorate, 1,4-dioxane, and NDMA, the operation of soil vapor extraction system to remove VOCs from the vadose zone and prepared work plans for additional remedial activities and storm water monitoring at several business operations that had been part of the original aerospace facility. Directed additional assessment of soils affected with perchlorate. Performed several Phase I environmental site assessments (ESAs) in accordance with ASTM standards as a possible location for Home Depot stores. Activities included gathering site research, such as aerial photographs and historical documents, site reconnaissance, and investigational interviews. Performed the supplemental investigation of the San Marcos I Landfill to evaluate landfill gas and historical trends in groundwater quality, evaluate potential up gradient sources of unauthorized releases in the vicinity of the landfill, perform a screening-level vapor-phase risk assessment, and evaluate the potential impact of surface water on the landfill. Services performed included evaluating the groundwater monitoring program and the results of groundwater monitoring activities conducted from initiation of the program until the present; performing a records search to obtain water quality information up gradient of the site and to determine if an off-site source is responsible for the low concentrations of VOCs historically detected in an up gradient monitoring well; collecting surface water samples at up- and downgradient locations from San Marcos Creek to determine the potential impact of surface water on the landfill; evaluating the passive landfill gas ventilation system and analysis of vapor samples collected from gas monitoring probes; and performing a screening-level vapor-phase risk analysis to determine if a comprehensive, site-specific risk assessment is warranted for the site. Field hydrogeologist during the installation and testing of six groundwater monitoring wells for the County of San Diego. Performed geologic logging, interpreted geophysical logs, and provided final and as-built well designs. Wells were installed using air rotary drilling techniques at depths of up to 175 feet below ground surface. Installed pressure transducers to record water levels during pumping development, step draw-down pumping tests and constant rate pumping test of the wells. Managed hydrologic assessment programs at several inactive landfills for San Diego County. Performed site investigations using hydropunch sampling, trenching, and air rotary drilling combined with downhole geophysical logging, including resistivity, guard resistivity, natural gamma, caliper, and BIPS downhole imaging. Responsible for the acquisition, documentation, and dissemination of data related to all phases of the following DoD environmental assessments: extended CERCLA/RCRA Facility Assessment, MCLB, Barstow, California; Initial Environmental Assessment, MCRD, Pasadena, California; UST/AST Field Investigation, Camp Pendleton, California; Long Term Groundwater Monitoring, Naval Training Center, San Diego, California; Long Term Groundwater Monitoring, NASA Jet Propulsion Laboratory, Pasadena, California; Groundwater Monitoring at MCRD, San Diego, California; Hazardous Waste Compliance, MCAS, Yuma, Arizona; Asbestos and Lead Paint Survey, Camp Elliot, Miramar, California; and UST Field Investigation, Camp Anza, Riverside, California.